#eSAX (The Entrepreneur Social Advantage Experience) is an entrepreneur networking community and tradeshow for small business to create connections, gain knowledge and promote regional economic collaboration among regional Chambers of Commerce. 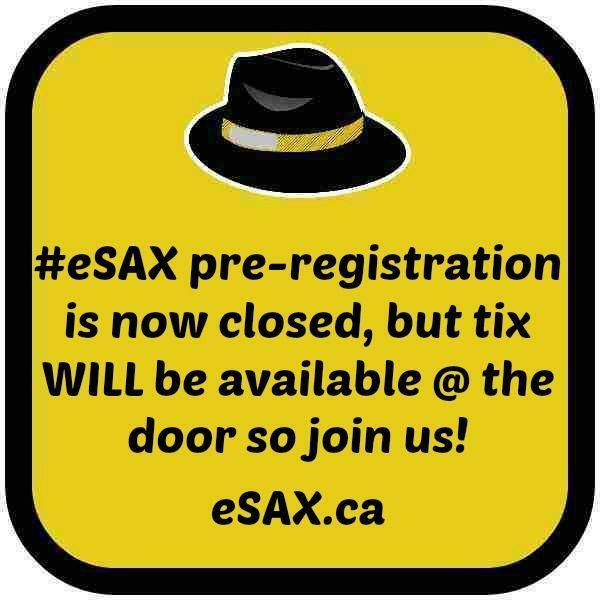 Never been to #eSAX? Check out this short video! with a special performance by Sax Appeal! A pitchfest is where entrepreneurs present in front of a panel (e.g., Dragons’ Den) to potentially win resources that will aid their business. Note that a maximum of ten (10) companies will be eligible to pitch! Deadline to apply is Friday, July 7, 2018 (midnight). 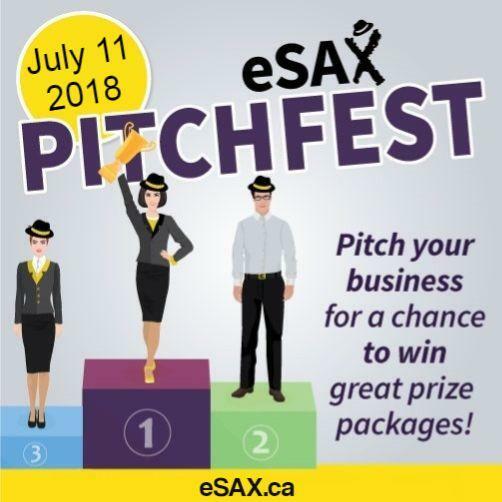 Individuals must register and provide a business logo, website URL, Twitter account and 500 word description to info@esax.ca prior to the deadline. Participants will have five (5) minutes to explain their vision and business concept to ‘win-over’ the crowd. Live voting will be done by our entrepreneur peers in attendance @eSAX, so this will also be a great opportunity to receive considerable exposure in front of hundreds of other business and community leaders. Will be awarded to the top three (3) applicants as judged by popular vote @eSAX (i.e., 1st prize, 2nd prize and 3rd prize).Each prize package will consist of multiple products/services as per details below. Note that additional prizes will be added on an on-going basis! 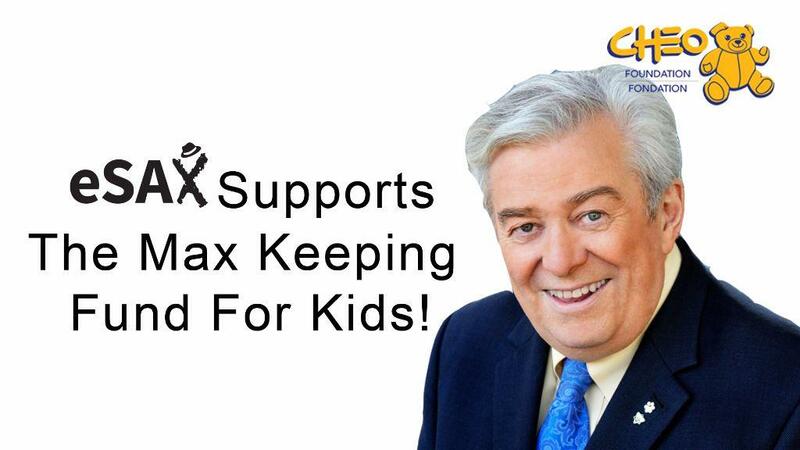 Join us as we reshape Ottawa's entrepreneur community and raise funds for the CHEO Foundation, Max Keeping Fun & Ability First Ottawa! Your eSAX ticket printout entitles you to take OC Transpo for FREE to, and from the event! You can purchase an underground parking pass during the eSAX registration process to make your networking experience worry-free! The Glebe has plenty of on-street meter parking throughout the neighborhood (but please make sure to pay attention to all City of Ottawa parking signs). What is the run-down of eSAX? The first three hours or so are open networking, where people can visit the booths, mix, mingle and interact in a pleasant atmosphere. (fyi, we highly recommend our signature cocktail 'Sax on the Beach')!! eSAX is a professional entrepreneur networking event, but with a more social aspect. (In fact, the letter 'S' in eSAX actually stands for the word 'social'! You may wish to also consider branding yourself for maximum exposure. Yellow and black colors are encouraged, but fedoras would be awesome!! Will not be available. However, if an individual purchased a ticket but cannot attend, the ticket IS transferable. Please contact the organizer prior to the online registration deadline. After on-line registration has closed, transferring tickets will NO LONGER be applicable.